75 days. 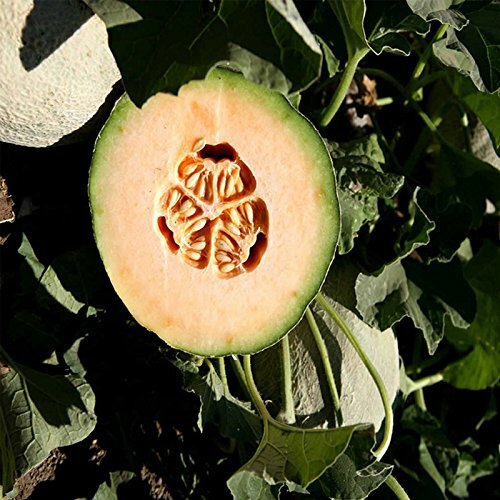 Athena is an early-maturing eastern melon in a class of its own, asked for by name from gardeners to growers. Athena has consistently delivered at the top for flesh color, flavor, aroma, firmness, and shelf life after harvest. Athena may be used in some areas as a specialty type melon featuring superior high flavor. Oval melons are 5 to 6 pounds with thick, firm, orange flesh. Coarse netting, minor sutures. Pick Athena at full slip for best quality and flavor. Approx. 1,250 seeds/oz.